Q1. What do you mean by Jacquard loom? Q2. What is the sequence of events that occurs in the computer when it is interpreting and executing an instruction known as? Q3. 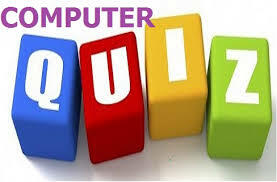 Specialised program(s) designed to allow particular input or output device(s) to communication with the rest of the computer system is called _______. Q4. The Internet is a system of ______. Q6. What is Window Explorer? Q7. What does JAR stand for? Q9. What is the new default font used in MS Word document?